JRT Conventional Head Shootout and Nanu's Grudge Bike Shootout. all the racers and fans that came out to support them on Saturday. Because of your support the race was a success. Congratulations go out to all the winners. at Capitol Raceway on Sunday, August 4, 2013. We Congratulate JD and his team on his runner-up win. International Raceway on Friday, August 2, 2013. We Congratulate Darrell on his final round victory. 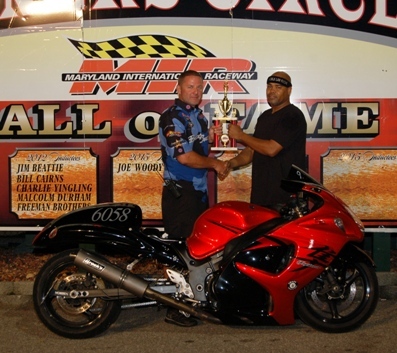 Maryland International Raceway on Friday, August 2, 2013. We Congratulate Tony on a great win. 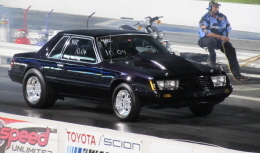 Mike Modeste aka Mustang Mike runs a 4.435 @ 171.02 to take the #1 qualifier spot in a 16 car field in Outlaw Drag Radial on Friday, August 2, 2013 at Maryland International Raceway. 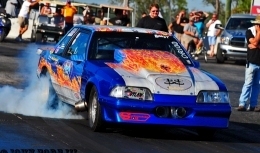 We Congratulate Mustang Mike for being #1 Qualifier in Outlaw Drag Radial.